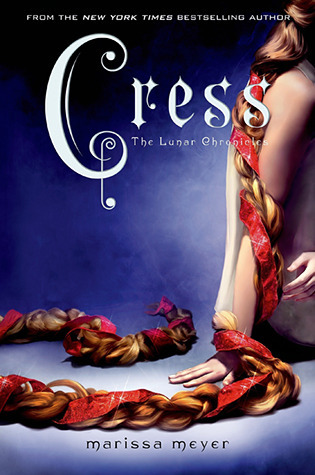 Cress by Marissa Meyer is the third book in the Lunar Chronicles series. It is loosely based off of the classic fairy tale of Rapunzel, and it picks up right where book two ended. The gang, Cinder, Thorne, Scarlet and Wolf are trying to come up with ways to bring down Queen Levana but are finding that they may need a certain someone’s hacking abilities. While Cress is risking her life trying to keep their ship hidden from both the Earthen army as well as the Lunar one, all from the confines of her satellite prison. This one happens to be my favorite from the series so far as it focuses on two of my favorite characters the most, Cress and Captain Thorne! With huge story development, and major character progression, Cress is hands down the best one yet! After escaping the madness of the Lunar attack on the world, the gang finds themselves traveling in space waiting for the opportune time to strike against Queen Levana. And what better time then the Royal Wedding! But unfortunately, coming up with a successful plan is proving to be quite difficult. So they finally decide to contact Cress again and employ her help with the matter. In the process of trying to save Cress from her satellite prison, things get a little messy. The gang gets separated and the plot line thickens. With Cinder, Iko, Wolf, and new addition to the team Jacin setting a course for Africa to find Dr. Erland, Cress and Captain Thorne have crash landed in the desert, all while Scarlet has been captured and taken to the moon! This was such an exciting addition to the story! The plot line was just so juicy and action packed. Meyers did a great job this time around with the story progression all while keeping true to her writing abilities. I think she hit it spot on with the writing of the relationship blossoming between Cress and Thorne. As well as the pain and guilt Wolf had over losing Scarlet! She is great writer of angst and excitement! Cress is nothing like Cinder or Scarlet. She’s much more awkward, naive, and introverted than our two heroines here. She is imprisoned on a satellite to do the evil bidding for Queen Levana on the technological side. Without other human interactions, Cress has a long way to go to develop her social skills and etiquette. Also, not to mention the fact that Cress is a total fangirl of Thorne and she is just so freaking adorable! Thorne as always, was hilarious. I think the whole satellite crash really allowed him and Cress to bond together and they’re just honest and open about their feelings to each other which is a lot more than I could say for the others. Their relationship was truly put to the test in that desert! They were able to fall for each other without all the insta-love nonsense. (Although Cress has this major crush on him). One thing I wanted to point out that really bothered me was that Thorne became blind after the crash. I feel like it took away from his character and personality. I get why Meyers did that, to progress him as a character and develop real feelings for Cress, but it doesn’t mean I have to like it. Give me my Thorne back! This time the story takes us to Africa and the Sahara desert! It was still fantastic to see what a futuristic place Africa becomes but still keep it’s charms and personality. We also start to get glimpses of Luna when Scarlet is taken prisoner and brought their to be Winter’s new pet friend. It seems very glamorous, but most likely it’s from the Lunar illusion abilities. Deep down I bet its gruesome and ugly! The setting plays a huge part in Cress and Thorne’s story arc as they have to navigate through the harsh climate of the desert. With Thorne being blind and Cress being new to Earth it made for some interesting developments. As a duo I believe it tested their new relationship and also further bonded them together! Cress by Marissa Meyer is my absolute favorite book so far in the series! I am literally fidgeting in my seat to find out what happens next. Will they make it to Luna and stop Queen Levana’s tyrany and save Scarlet? What other bumps in the road will they have to experience? Only time will tell! Maybe I should pick up Fairest in the mean time and get a little more back story on Queen Levana and Winter! If you guys have read Cress, tell me what you guys thought? Is it your favorite too? What are you most looking forward to in the next installment? 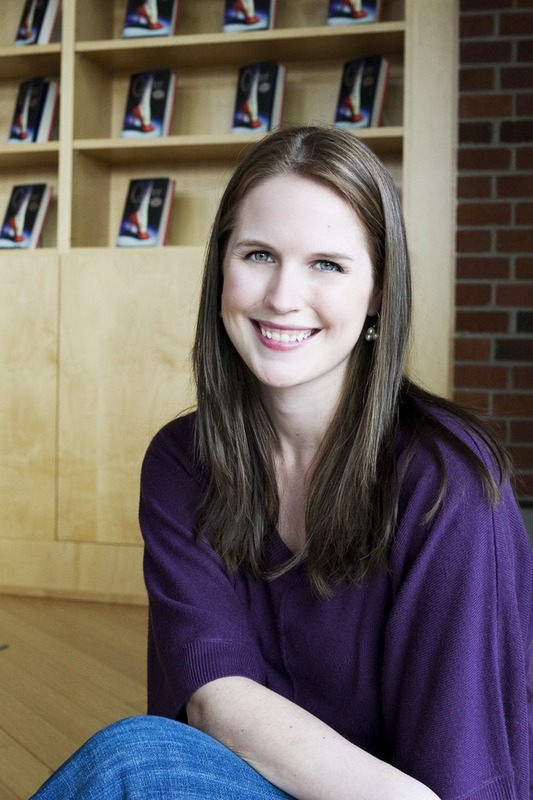 Marissa Meyer lives in Tacoma, Washington, with her fiancé and their two cats. In addition to her slight obsession with books and writing, she’s big on road-tripping, wine-tasting, and hunting for antiques. She’s represented by Jill Grinberg. CINDER, her debut novel, is a futuristic re-envisioning of Cinderella in which Cinder is a cyborg mechanic. This entry was posted in Menu and tagged Action & Adventure, August, Fairytale Retelling, Marissa Meyer, Review, Romance, Sci-fi, Young Adult. Bookmark the permalink. I absolutely adore this series. I think what I love the most about it is the way that certain aspects of the fairy-tale are easy to pinpoint but the world and the characters are completely unique. I genuinely can’t pick a favourite character in this series and I love the fact that in their own communities the main characters are like outsiders but together they’ve formed kind of a family. I’d definitely recommend reading Fairest because it does give us some insight into Levana’s story whilst highlighting the fact that there are no shades of grey for her. Yeah, I’m thinking its a good idea to read Fairest before Winter comes out! I really like Queen Levana as the villain and would love to see her backstory! I seriously need to marathon this before Winter comes out. But the size of Cress scare me a little hahaha. It may seem a bit intimidating, but I assure you, its worth the read! The best one of the series thus far!